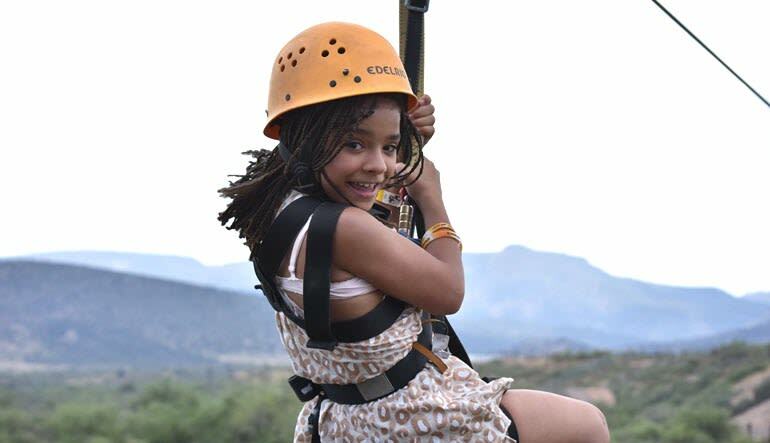 Enjoy the adventure of a lifetime on a world-class zip line over Out of Africa Wildlife Park in Camp Verde Arizona! 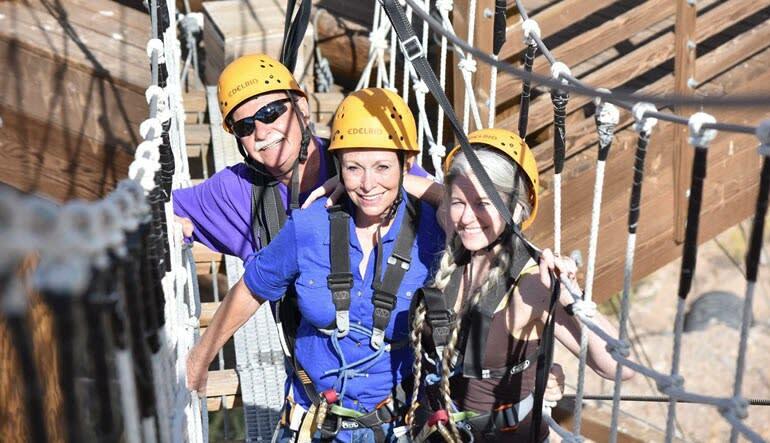 Lions, Tigers, and Bears, Oh My... Get ready because you will be zipping above all three! Conveniently located less than 20 miles from Sedona, in the heart of Northern Arizona’s wine country, just minutes from tasting rooms and vineyards. 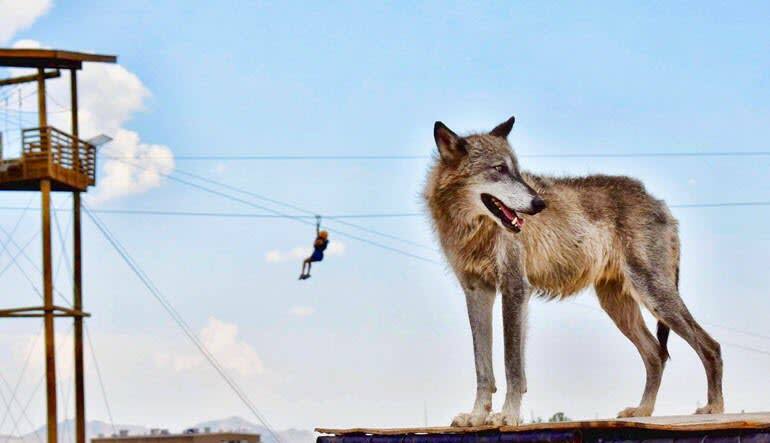 Zip over African wildlife predators! From the top of the towers, you can see majestic red rocks, the San Francisco peaks, and the whole breathtaking Verde Valley including Cottonwood, Clarkdale and Jerome. 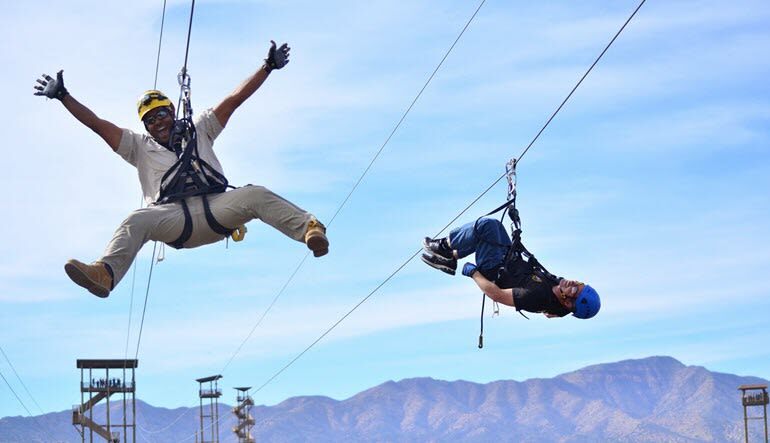 Take a Zip Line adventure that you’ll never forget! 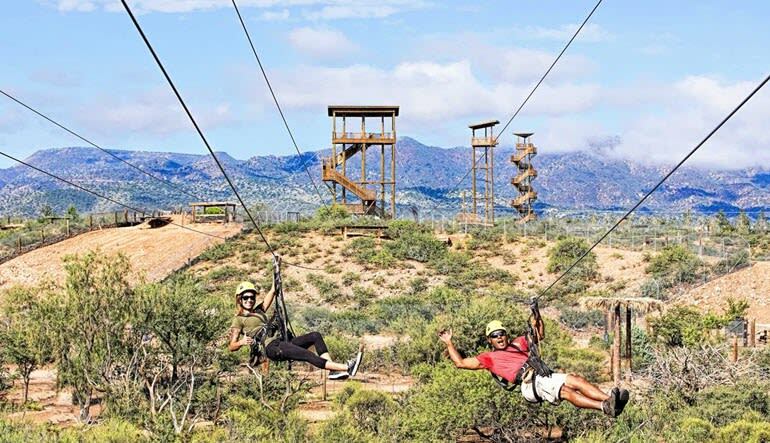 Ride the most exciting zip line ever devised, over Out of Africa and soar over Lions, Tigers, Wolves, Hyenas, Bears, Jaguars, and other natural predators! It was so much fun, all my friends and myself thoroughly enjoyed the experience. I loved every minute of it! The guides were super awesome and accommodating! Totally recommend it to others as we have back at the resort. Visiting from San Diego. Minimum weight of 60 lbs. Maximum weight of 275 lbs.